Son of Accoyo America Diomedes! 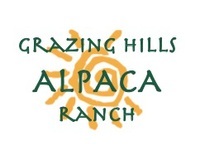 Grazing Hills Bradford - 16.9 4th Shearing!! This son of Accoyo America Diomedes has matured into stunning young male with a WOW! 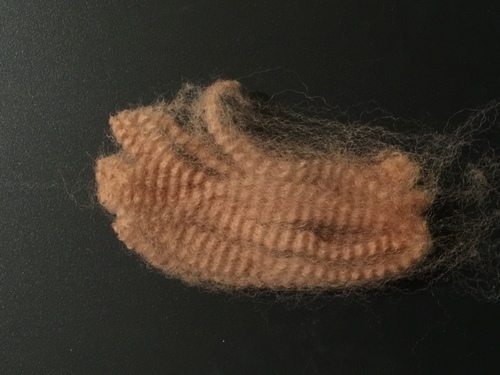 fleece. He marks a first for our herd with his 4th blanket boasting a 16.9 micron AFD...we love Bradford!! 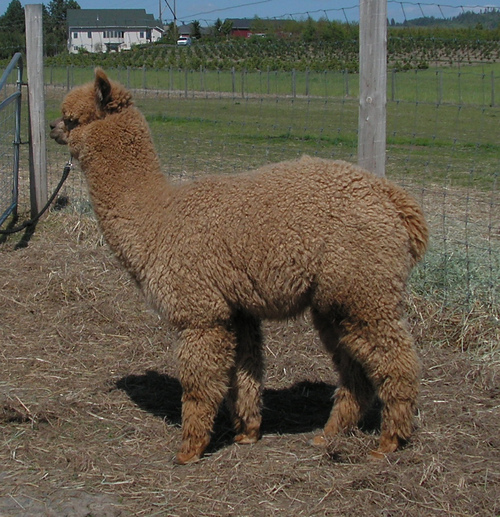 He is a gentle guy, and like his sire, a VERY eager breeder; as you can imagine, once we got a look at his first cria, (see photo) he is getting more opportunities. 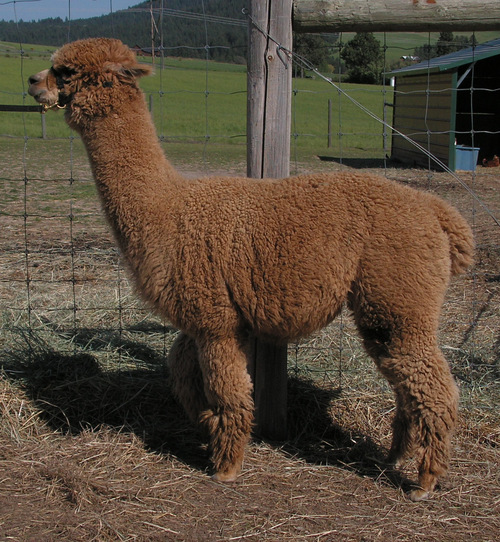 Bradford's older brother, Parker, sold to the UK, and his younger brother, The Fawn Factor, has also been sold. We are thankful we kept him in our breeding program. Bradford appeared very ready to breed at two, and he finally got his chance. 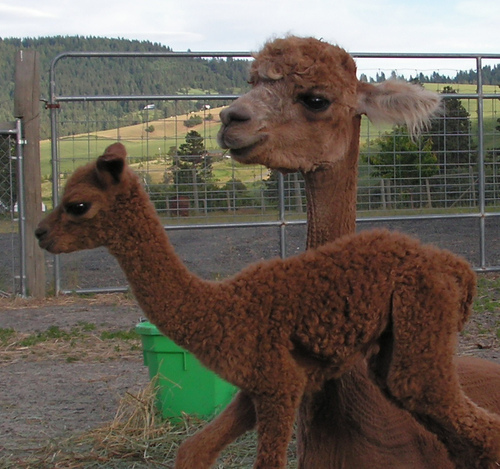 Since we needed to prove several young males, he only had the one opportunity, but she took in a single breeding; the resultant cria arrived on Father's Day this year, and oh, my, is he ever gorgeous! 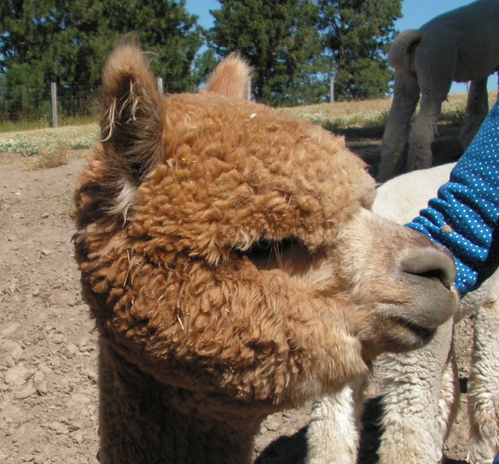 We sheared him at a week...the cria fleece was super fine, and he literally glowed afterward. 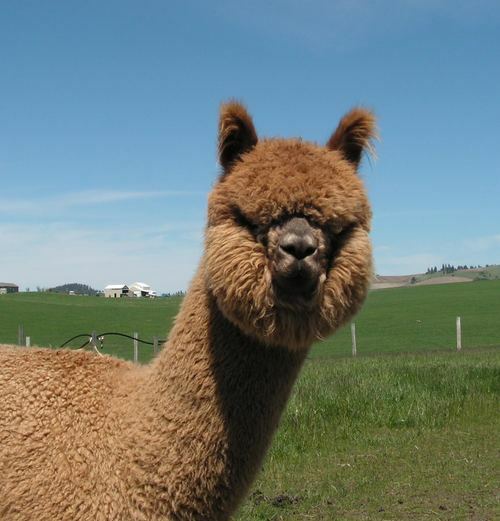 He is darker than either dam or sire, very uniform in color except for a tiny black spot on one cheek. The following year, 2015, he threw a beautiful beige girl, Nevaeh. Her name is Heaven, spelled backwards, and that's just what she is! 2014: 16.9, 3.8, 22.6, 0.6!!! !